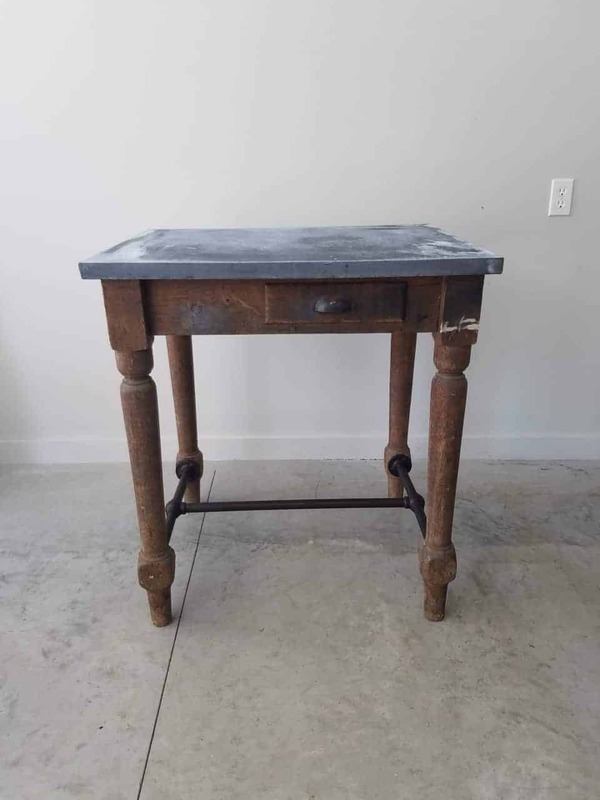 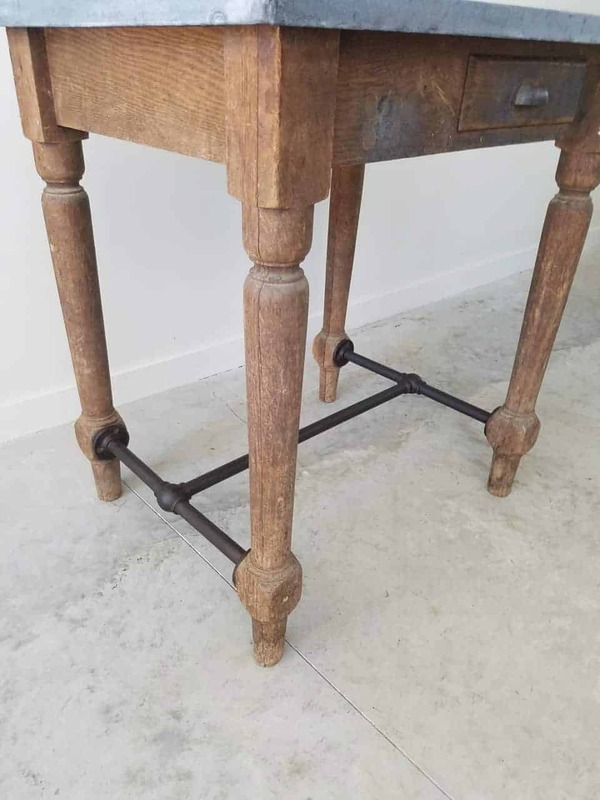 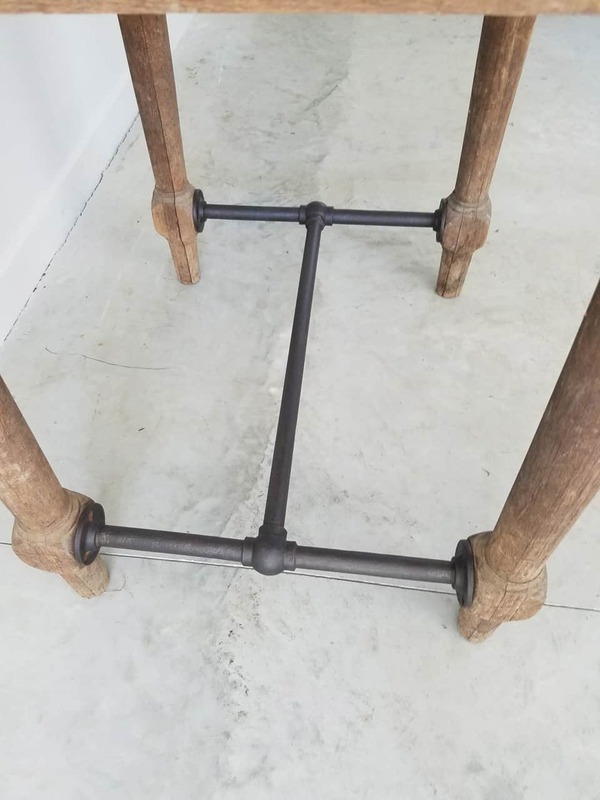 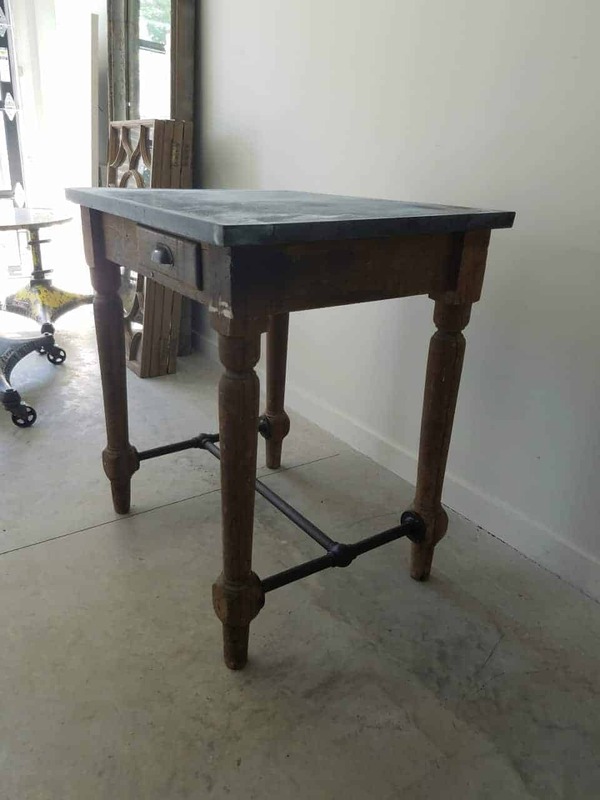 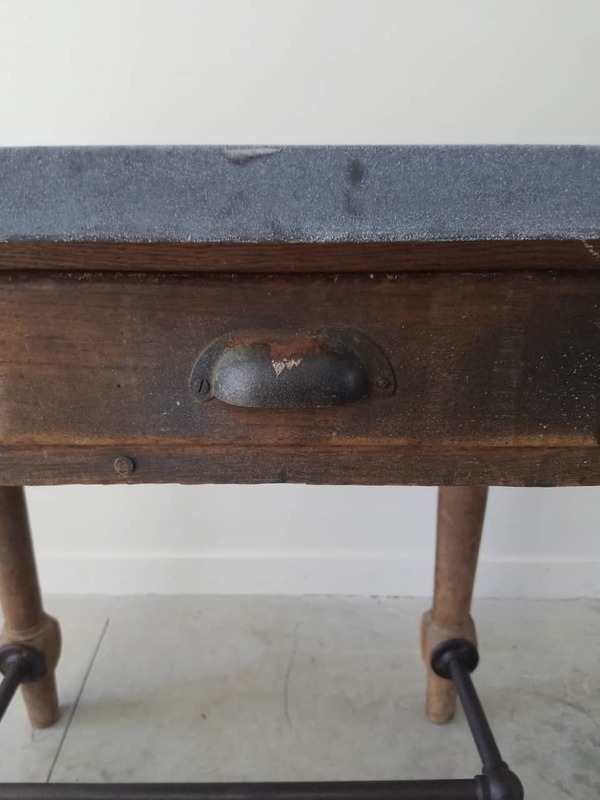 Vintage Turned Wood Leg Zinc Top Work Table with Metal Stretcher. 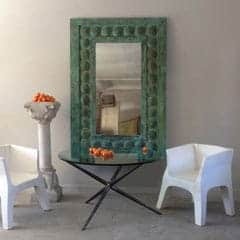 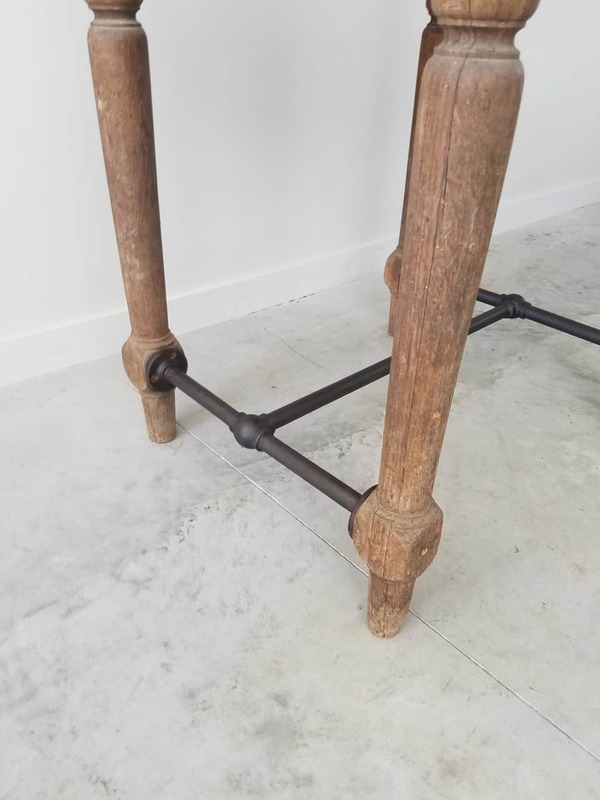 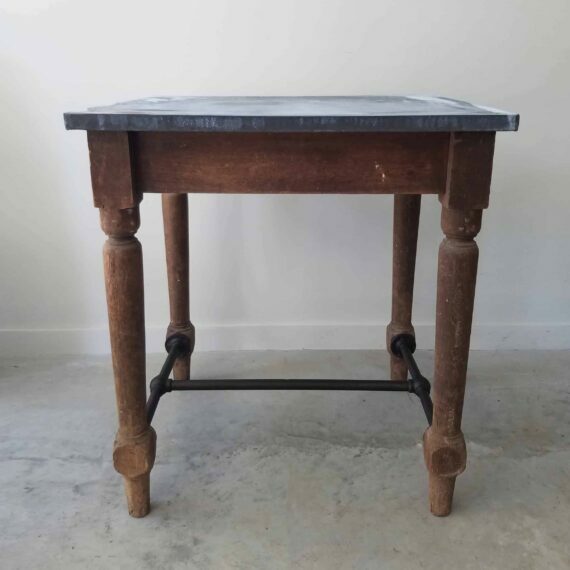 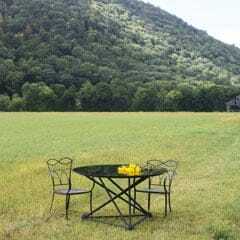 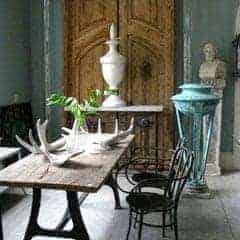 This table has a patinated zinc top, and a metal stretcher made from a reclaimed industrial part. 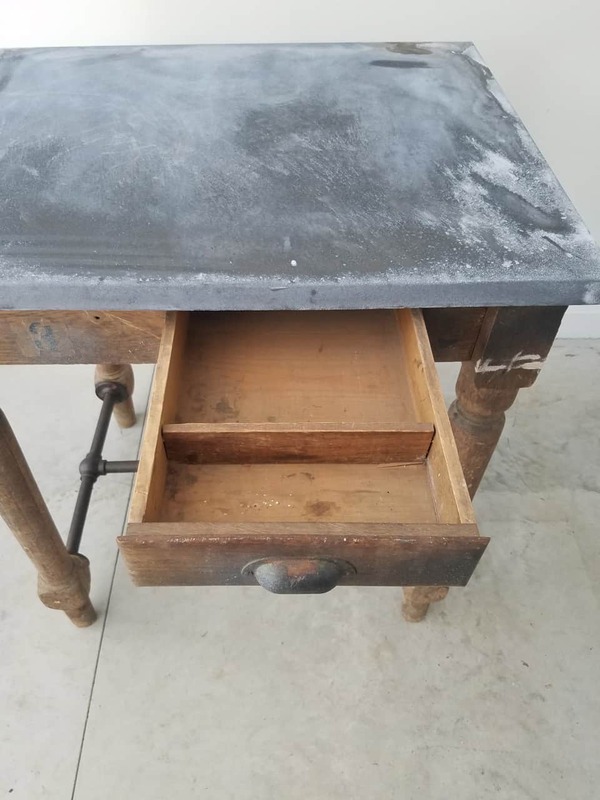 The table features a drawer accessible from one side.